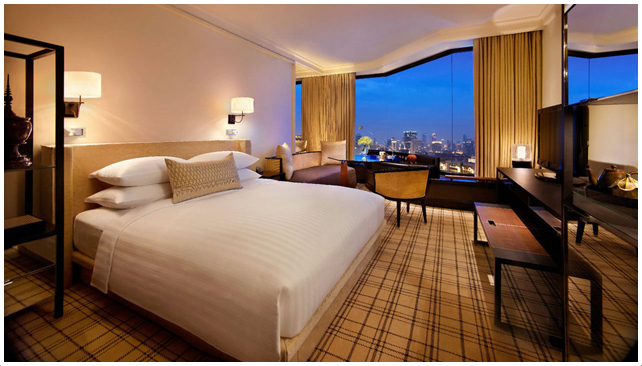 Located in the heart of downtown Bangkok, The 5-star Grand Hyatt Erawan Bangkok radiates elegance and sophistication. 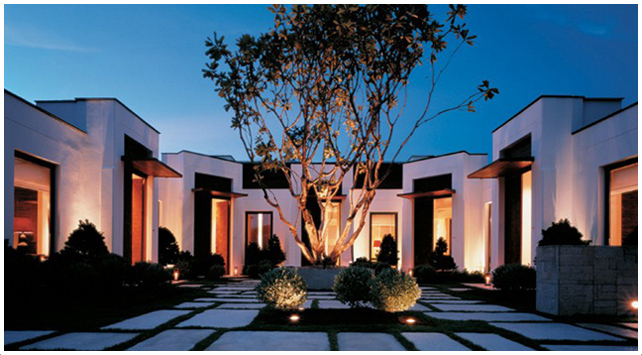 This luxury hotel features stunning architecture that is intended to resemble the traditional Thai royal residences. The atrium-style lobby is breathtaking and creates a feeling of grandeur. Recently redesigned by the renowned American interior designer Tony Chi, the impressively renovated guestrooms are luxuriously warm and welcoming. Each is designed for the specific needs of every guest, furnished with modern comfortable furniture and completed with subtle Thai details; a perfect blend of East and West. What makes the Grand Hyatt Erawan Bangkok truly unique is its renown i.sawan Residential Spa and Club. This newly renovated spa is completely dedicated to providing patrons with a rejuvenating and euphoric experience. 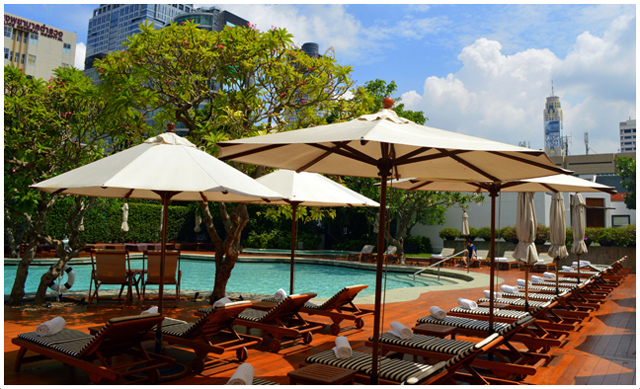 After enjoying the hustle and bustle of Bangkok, guests will find the spa the perfect retreat. Our personal favorite spa experience was the 90-minute Signature June Jacobs Body Treatment. This hour and a half long treatment was a little slice of heaven, making you lose all track of time and reality. The staff is extremely well-trained, professional, and courteous, making this Thai spa experience unlike any other. 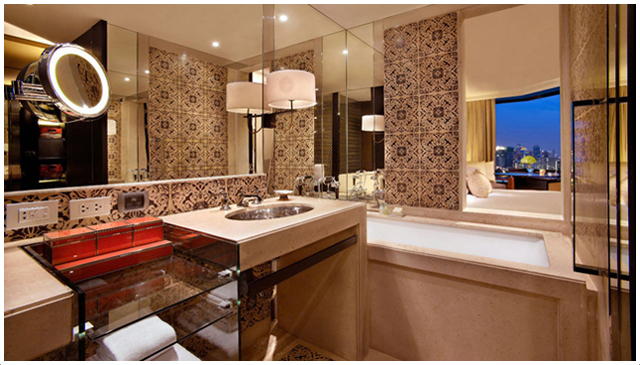 Spa guests are pampered from the minute the elevator doors open to the 7,000 square meter spa. It contains nine newly built treatment bungalows, some of which have private terraces that provide outdoor relaxation. The i.sawan Spa also offers six residential cottages for overnight stays and 24-hr pampering. If an hour just isn’t enough spa time (and most women agree it’s not! ), the cottage experience will provide the ultimate dream escape. For the men, the spa offers a whirlpool, a steam room, sauna, and a cold plunge. This will be a wonderful respite after working up sweat on either the tennis or squash courts, or an intense workout in the Greenhouse fitness center complex. Or, choose a low impact workout by swimming in the 25-meter swimming pool and then drying off on the teak wood sunbathing deck. 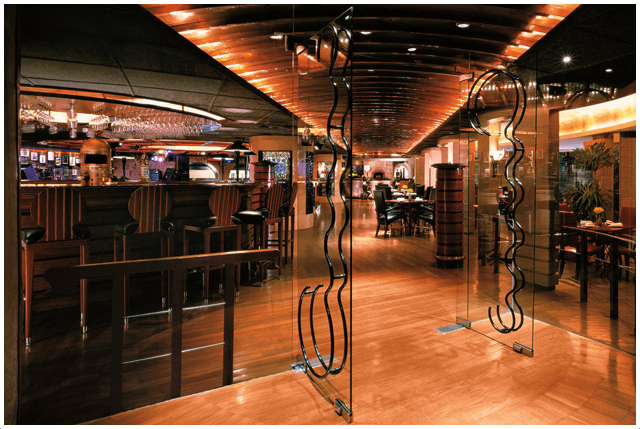 Finding a place to eat should never be a problem staying at the The Grand Hyatt Erawan. First, the hotel is centrally located, which provides easy access to a number of high-quality restaurants. However, guests don't have to leave the property to find incredible cuisine. The hotel boasts over nine places to eat - from a bakery, to a swanky bar, to a high end Asian noodle house. The eating options are numerous. The hotel even offers some of the best Italian cuisine in Bangkok. 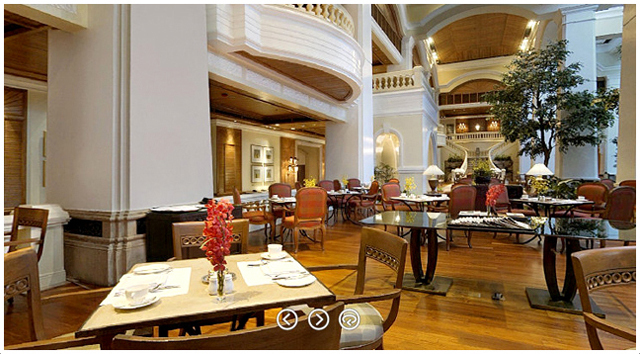 The breakfast buffet served on the hotel’s main floor in the exquisitely grand lobby is not to be missed. Guests can find all types of delicious foods, including baked goods, french pastries, fresh fruit, and grilled options. Navigating a foreign country can be difficult, if not completely overwhelming. Thankfully, the concierge can help guests manage their travel plans. Drop by the desk before heading out for a free map of the city and advice on the various travel options required to arrive at these destinations. Also, browse the numerous guided tours and romantic cruises that can can be booked directly from the concierge's desk. The concierge's desk is a wealth of information and can really be helpful to first-time travelers. 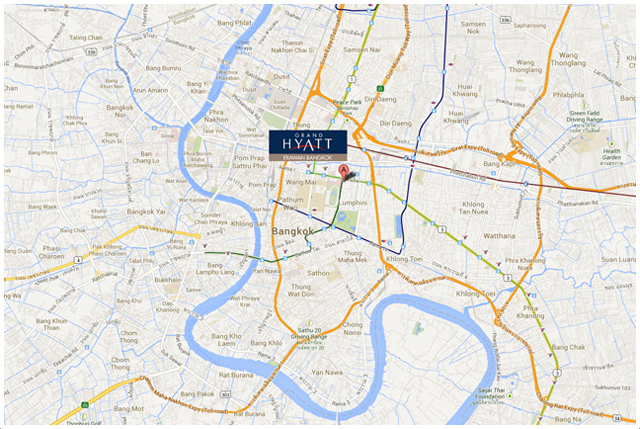 The Grand Hyatt Erawan Bangkok is within walking distance to several of Bangkok’s extensive shopping opportunities. 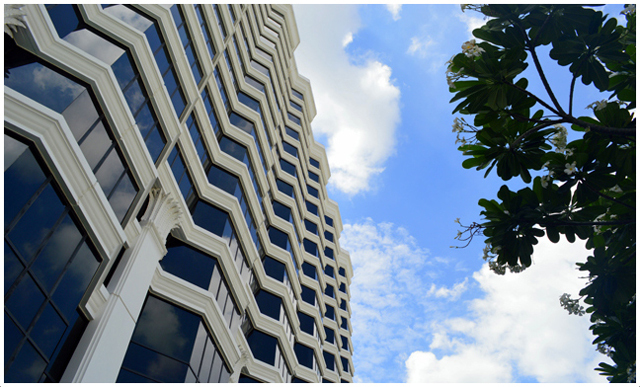 Nearby, guests can easily access Siam Paragon, Central Chidlom, CentralWorld, and Gaysom Plaza. Also, many of Bangkok’s famous markets are just a short BTS Sky Train ride from the hotel. Of course, getting to these destination means prying away from the hotel and it’s luxuries. Located in the Ratchaprasong District - Bangkok’s world-renown retail and fashion center - the Grand Hyatt Erawan is an excellent jumping off point to the best that Bangkok has to offer. Guests can walk out the front door and within five minutes be waiting at the BTS Sky Train Station. 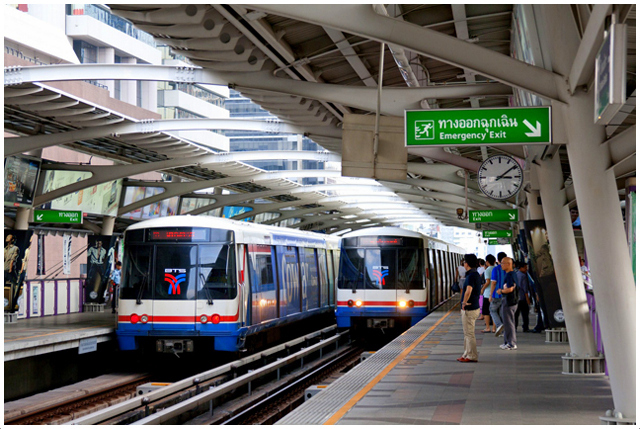 BTS is Bangkok’s major commuter rail system and it will take travelers to any number of of the city’s tourist destinations and markets. More information about public transportation is easily accessible at the concierge’s desk where a staff member can help patrons map out the day’s travels. Taxis are also available outside and the doormen will help ensure drivers know where guests are headed and how much it will cost to get there. The Grand Hyatt Erawan Bangkok is a manageable 35km from the Suvannabhumi International Airport and 24km from the Don Muang Airport. Be sure to keep your eye out for special promotions here. 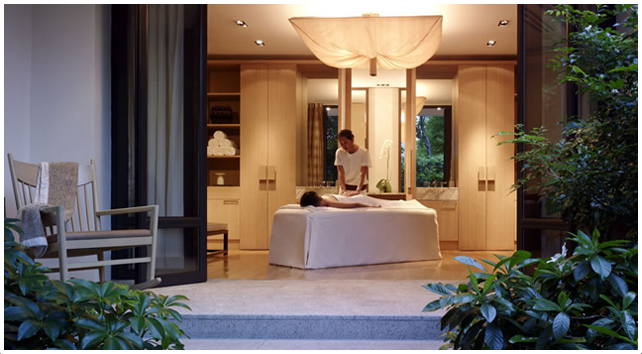 The Grand Hyatt Erawan Bangkok will often have special offers that combine hotel stays with spa treatments and city tours.